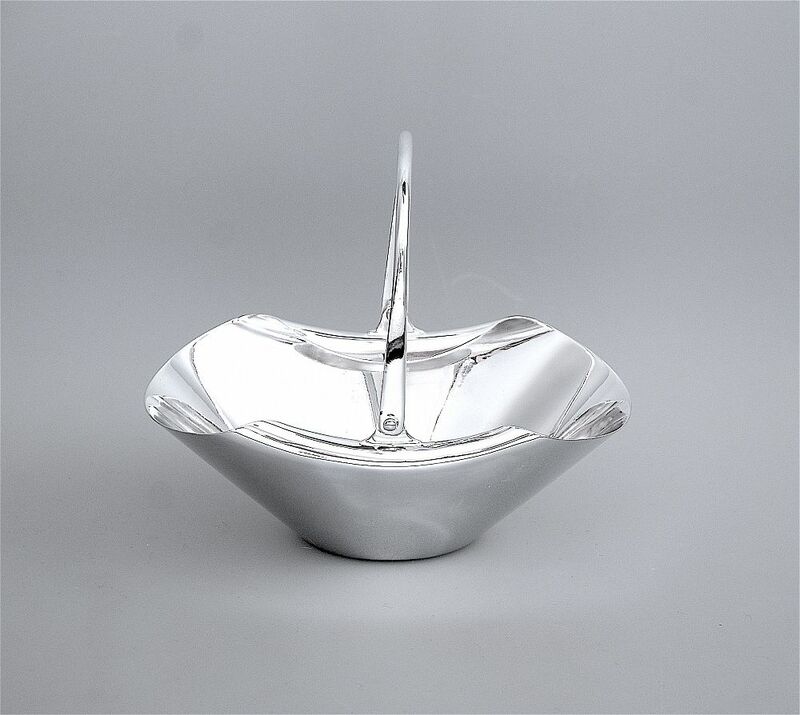 This is a very elegant silver plated handled bonbon dish designed by Christopher Dresser for Hukin & Heath c1880s -1900. 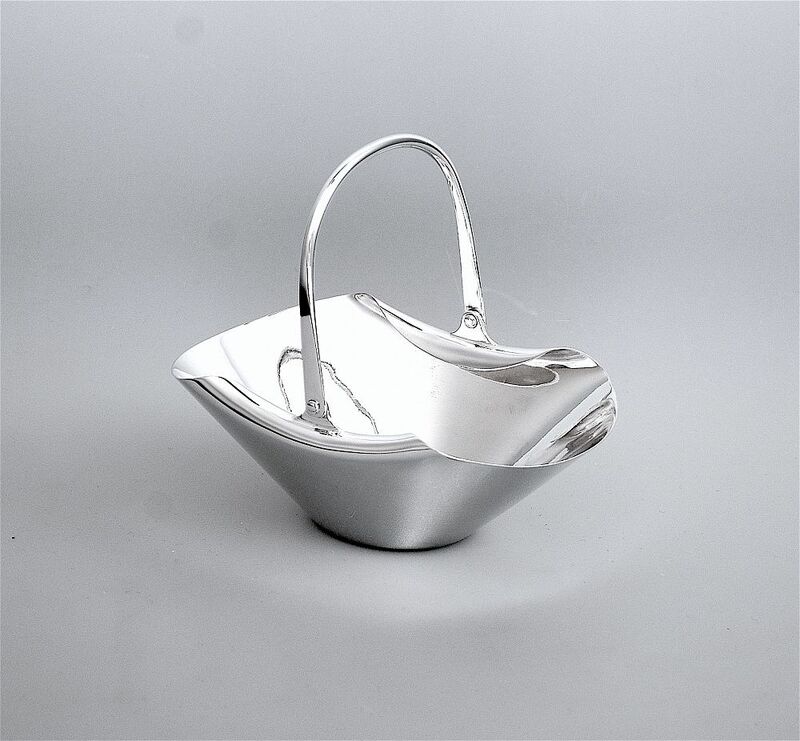 It is boat shaped with folded edges and a swing handle. 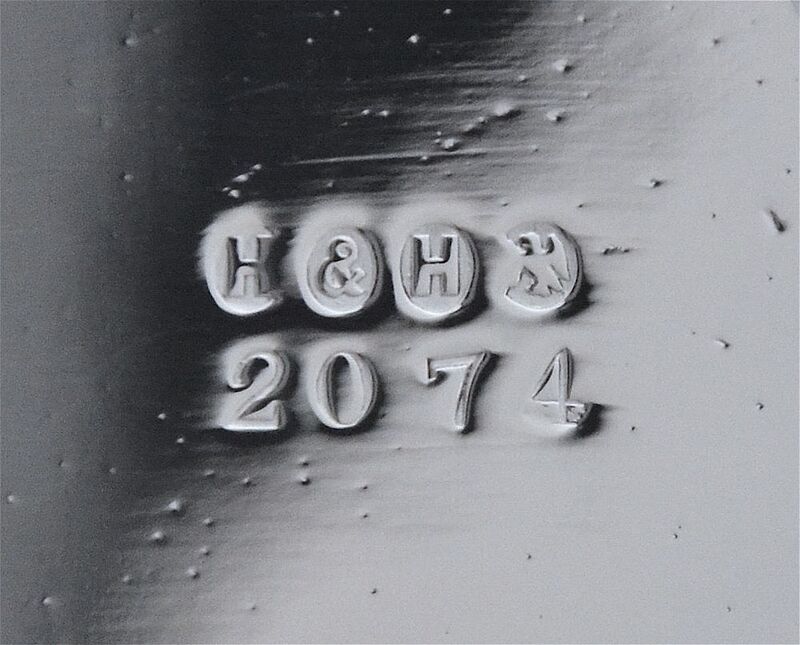 The base is marked "H & H" for Hukin & Heath, has the bird/eagle silver plate mark and the stamped numbers "2074".